Sold by betterbest123 and Fulfilled by Amazon. The best-selling Rumi book ever is now better than ever! This expanded edition of the comprehensive one-volume edition of America's most popular poet includes a new introduction by Coleman Barks, and 81 new poems never published before. "If Rumi is the most-read poet in America today, Coleman Barks is in good part responsible. His ear for the truly divine madness in Rumi's potrey is truly remarkable." 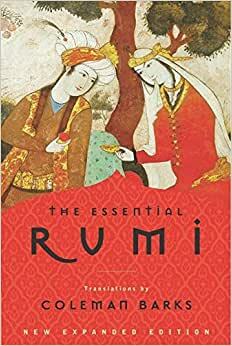 -- Huston Smith, author of "The World's Religions""In this...delightful treasury, Barks sparklingly demonstrates once again why his free-form interpertations of [Rumi's] poetry...have been a major impetus for the current Rumi vogue." -- "Publishers Weekly"